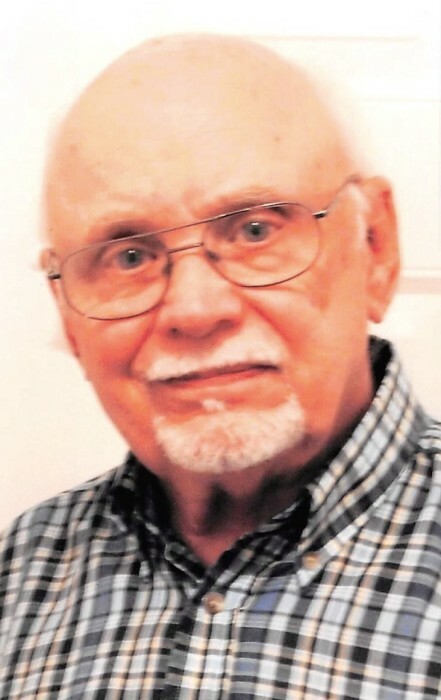 Hobert Ray “Sonny” Pyles, Jr., of Danville, passed away on Thursday, March 21, 2019, at his residence. He was 88. Born on February 18, 1931, in Columbia, Kentucky, he was a son of the late Hobert Ray Pyles, Sr. and Hyacinth Rigney Pyles. Growing up in Louisville and following services in the United States Navy, he lived briefly in Ohio, moving to Los Angeles, where he worked for McDonnell-Douglas. Sonny returned to Kentucky in the 90’s, settling in Danville. He will be remembered as a loving husband, father and grandfather by his family, and as faithful and loving by his friends. Sonny is survived by his granddaughter, Christina Cota of Liberty; a grandson, Steven (Shelly) Crosier of Beatrice, Nebraska; one sister, Doris H. Casey of Jeffersonville, Indiana; three great-grandchildren, Karlee Crosier, Katlin Crosier and Allysia Crosier; and several nieces and nephews. In addition to his parents, Sonny is preceded in death by his wife, Alma Vivian Luttrell Pyles, who passed away on March 20, 2001; a daughter, Rae Jean Crosier; a grandson, Donald Crosier; and three sisters, Elvia Jean Bogues, Marjorie Johnson and Mary Smith. The funeral service will be held at 11:00 A.M. on Wednesday, March 27, 2019, with Bro. Don Clark officiating. Burial will follow in Poplar Hill Cemetery with military honors by the Casey County Honor Guard. The family will receive friends from 5:00 P.M. to 8:00 P.M. on Tuesday, March 26, 2019, at McKinney-Brown Funeral Home. Sonny’s pallbearers will be Steven Crosier, Gil Brewsaugh, Jeff Luttrell, Ray Luttrell, Larry Ray Luttrell, Jack Bendschneider, Jr. and Greg Short. Honorary pallbearers will be Harold Luttrell and Jack Bendschneider, Sr. Arrangements for Mr. Sonny Pyles are entrusted to McKinney-Brown Funeral Home. An online guestbook is available at www.mckinneybrown.com.